To enter any (or all) of our latest competitions, simply fill in the form below and ensure the 'subscribe' box is ticked to to receive our e-editions by email. One entry per person/email address/competition; entries close on the last day of each month. 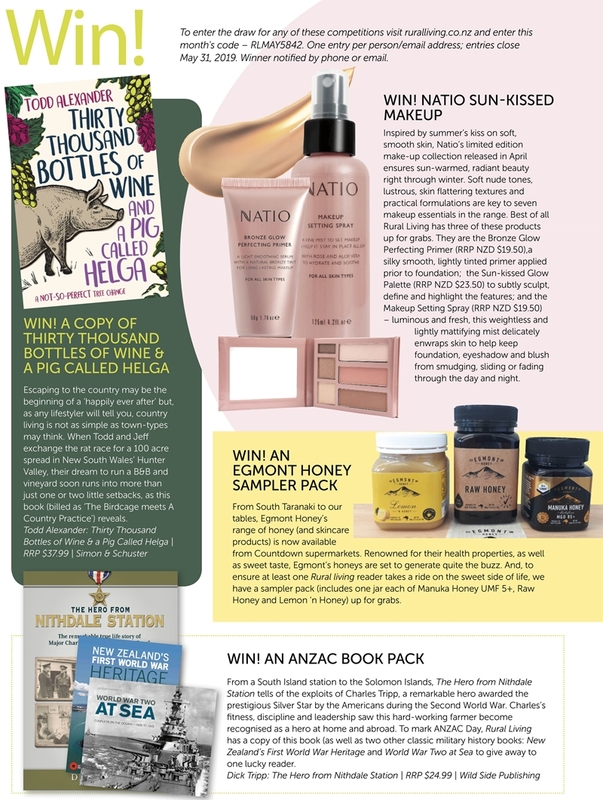 Don't forget to enter this month's entry code which can be found on the win page of the latest issue. Winners notified by phone or email. PLEASE NOTE: you may tick any (or all) of the boxes below to enter. What is the entry code? YES ENTER ME INTO THESE COMPETITIONS & subscribe me to the Rural Living mailing list.